A well-located apartment in the centre of Alcala. It consists of three spacious bedrooms. The kitchen is fully fitted and open plan onto the dining/living room. Included in the price you will also get a parking space. This apartment is located close to all shops, restaurants ,schools and a lovely walk way that can take you to the Alcala beach and into Puerto de Santiago along the sea front. 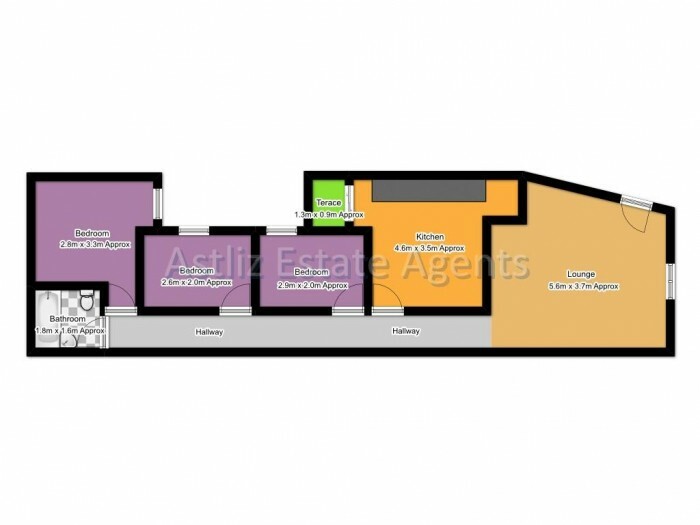 We recommend viewings on this apartment as it is a lot of property for your money.